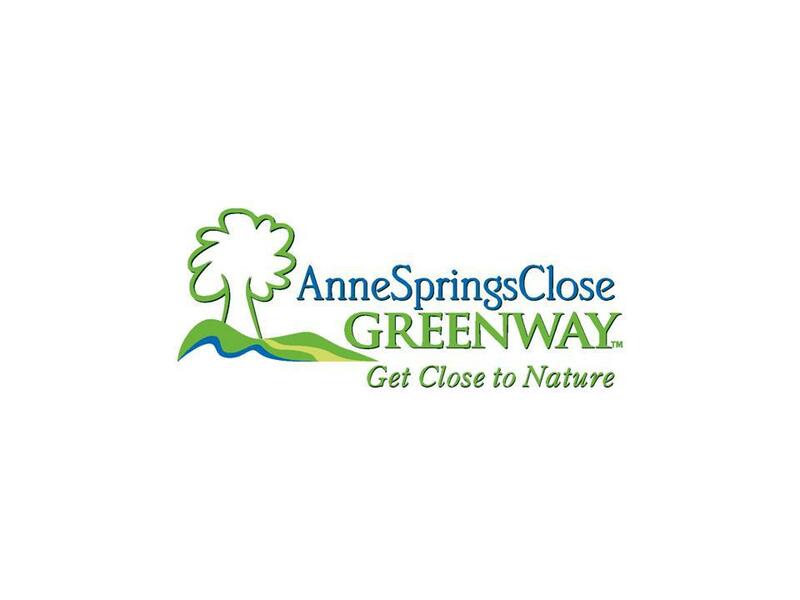 Description: The Anne Springs Close Greenway is a 2,100-acre nature park with 40 miles of trails for hiking, horseback riding and mountain biking. The property features six lakes and ponds suitable for fishing, kayaking and canoeing year round. Primitive campsites are available as well as field camping for groups. A renovated dairy barn is one of the most sought after venues in the region for weddings and receptions. Special events are held throughout the year including an Earth Day celebration, summer concert series, horse shows, fall festival, and craft show. Seasonal attractions are pick your own strawberries in the spring and a pumpkin patch and corn maze in the fall. The Greenway has a 12-acre off-leash dog park with lakefront access and horse barn offering trail rides and other equine programs September-May. Bring the kids out to the petting zoo at the horse barn or to see goats, donkeys, horses and cows around the Greenway. There are 2 historic cabins and a replica grist mill on site, weekly guided hikes, and 12-month educational programming for school groups and others. The Anne Springs Close Greenway is host site for the Catawba region's SC Master Naturalist Program through Clemson University Extension Service. The Greenway is a 501(c)3 non-profit membership based organization and allows non-member daily admission for a $5 fee.